Courtesy photo Above, Community Foundation for Delta County (CFFDC) Trustee Charles Becker and Board Chair David Williams are shown presenting a $25,000 grant check to Northern Michigan Mobile Child Advocacy Center Care Coordinator Kimberlee Rudden and Delta County Administrator Philip Strom. 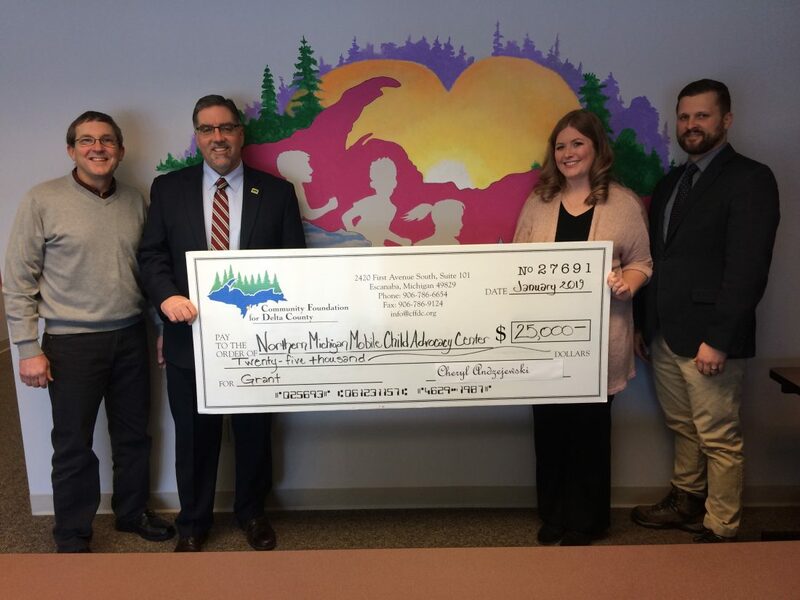 ESCANABA — Community Foundation for Delta County (CFFDC) Trustee Charles Becker and Board Chair David Williams recently presented a $25,000 grant check to Northern Michigan Mobile Child Advocacy Center Care Coordinator Kimberlee Rudden and Delta County Administrator Philip Strom. Rudden thanked the Community Foundation for Delta County for their generosity and support. “The Northern Michigan Mobile Child Advocacy Center (CAC) is committed to ensuring every child has access to compassionate, collaborative services,” she said. “Our referrals come from law enforcement and/or child protective services. The CAC located in Escanaba is the first of its kind in the Upper Peninsula stated Strom. “It will serve children of all ages that have experienced some type of trauma in their lives,” said Strom. 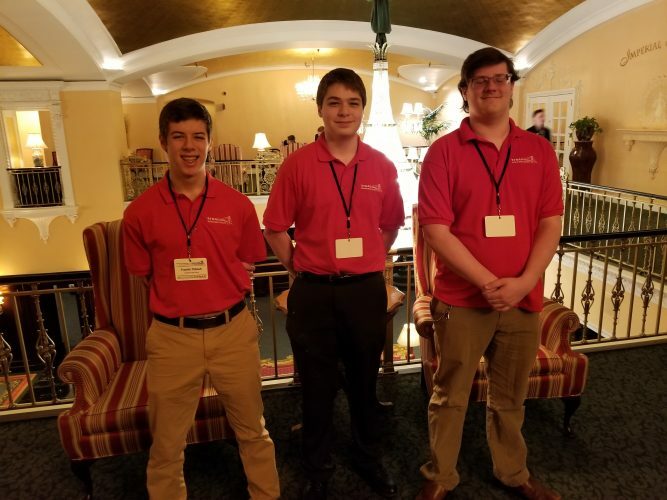 “Children are the most precious and innocent members of our community, and when they are mistreated, hungry or otherwise abused, it pulls at our heart strings, and our board gives very high priority to issues or programs that benefit youth. The foundation wants to make a difference and is pleased to help such a worthwhile center serving children of all ages with the ability to heal and move forward in life,” Becker said.